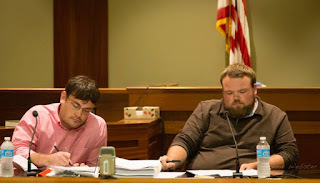 WataugaWatch: SBOE Deals With Watauga ... Again! Yes, absolutely. Not having a polling place a few blocks away from the courthouse is certainly a form of voter fraud! We should also put a polling place at the Cottages in case some of those students don't want to walk all over the campus just to vote. Oh Suzannah... Sarcasm, the failure of humor. I agree that this is all Watauga Watch is, jealousy, whining (i.e. Kathleen Campbell and Stella Anderson). I was thinking the same thing, what have early voting, we have election days. Come on.